A Psychologist trained in Cognitive Behavioural Therapy, specialising in the treatment of alcohol problems, anxiety and depression. I often hear people refer to their alcohol problem as ‘a weakness’, or a sign that they are weak people. But I don’t think this is a helpful view, as it labels the person negatively and discourages change. Mental health issues like depression, anxiety, or alcohol problems, can be thought of not as a weakness, nor a defect, but merely as a sign that someone is not functioning at their best. Very few people function perfectly, most of us function well enough, and some of us don’t function that well; it’s a sliding scale. If instead we consider mental health problems, including alcoholism, as a sign that a person is further down the scale of functioning than they would like to be, perhaps there is more room for manoeuvre. Similarly, people who are emotionally ‘strong’ can still struggle, or have periods when they’re not functioning well, or have faults. Many of us will have grown up with the belief that if we don’t achieve certain standards, then we’re not acceptable, or not worthy of love. But that would make most of the human race unacceptable; so perhaps we can consider that we are still worthy of love and acceptance despite our flaws, our bad habits, and our difficulties. Most of the clients I talk to are not at ‘rock bottom’, to use the AA phrase. Their drinking is not causing many crises in their lives. Sure, there are consequences from their alcohol consumption, but quite often they are manageable. They might be termed ‘high-functioning’ alcoholics. Do you seem to be getting away with your drinking, most of the time? If you’re feeling a bit below your best at work the next day, does anyone really notice? When you drink, do you tend to be amiable, not argumentative or belligerent? Are you one of those people who would never drive a car once you’ve had more than one drink? Like most people, you’ve probably never noticed any major health problems due to alcohol, although also like most drinkers, you’re aware of the risks and concerned about them. Maybe you’ve even noticed some subtle costs to your health – weight gain, poor skin condition, troublesome digestion, disturbed sleep? But perhaps you try to ignore those. Perhaps your partner has repeatedly expressed their concern about how much alcohol you drink? But they haven’t left you because of it, so you dismiss their concerns. 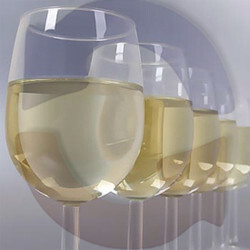 Lots of people drink way more than is good for them, yet manage to deal with the side effects. As such they can convince themselves that their alcohol consumption isn’t out of control, that they aren’t an alcoholic. 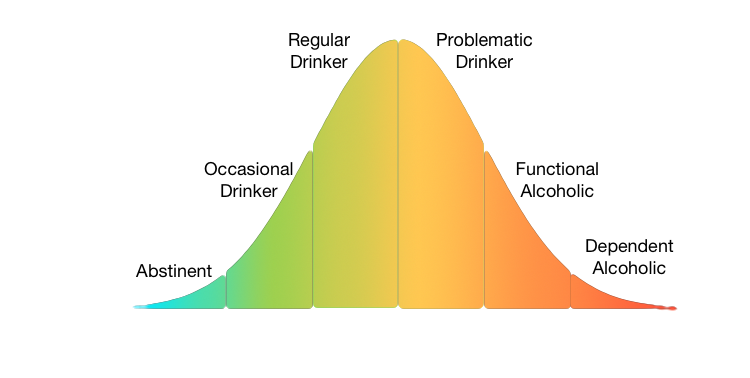 But as with most things, alcoholism is not a discrete category that you’re in or not in, it’s a sliding scale, with various degrees along the way from someone who is abstinent at one end, to a dependent alcoholic at the other. A functional alcoholic might be at about 70-80% on the scale, lets say. Whereabouts on the scale are you? For many people, the decision to change their drinking habits is not clear-cut. The pros and cons of your drinking might seem quite evenly balanced; occasionally the negative consequences might increase, you have a binge and do something embarrassing perhaps; but then at other times those costs can seem more tolerable, more manageable. When you’re feeling concerned about your alcohol consumption, this back and forth swing of apathy and motivation can go on for years. The truth is, most people find alcohol to be a pleasure, they enjoy the effects, the relaxation of emotional pain, the reduction of anxiety, the dissolving of barriers with those around us, the warm glow of not caring about the pressing issues in our lives. 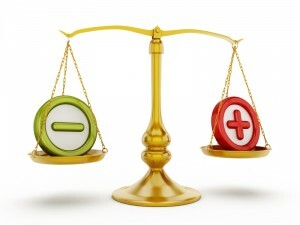 We tend to view many choices about our lives in this way – a simple weighing up of the pros and cons. When we drink, we just don’t care any more, and that is such a delightful state of being, it seems worth the high price of admission. Most of the time. Until you’re woken by indigestion and anxiety again, until you wake feeling retched again, full of guilt, shame and regret. Many people are aware that their drinking is a problem, but not enough of a problem to do something about it. The idea that we can just force ourselves to change our behaviour, commonly referred to as ‘willpower’ is just not supported by reality – willpower comes and goes unpredictably. Eventually though, the scales tip slowly but surely towards a point of action. By reading this, does it suggest your motivation is tipping towards making a commitment? Cognitive Behavioural Therapy (CBT) is an effective, practical solution backed by extensive research. It can be used for any number of mental health problems or behavioural issues, including of course, alcoholism. So how does CBT work in relation to alcoholism, what is the process? And, as you’re probably wondering, how will it help you to solve your own alcohol problems? Alcoholism is different for everyone; the reasons why you drink are not the same as the reasons someone else drinks. So the first step in solving your issues with alcohol is to explore where your drinking fits into your life, what contributes to it, and what might be maintaining the problem? CBT is a method for helping you to examine your thinking styles, your beliefs, and your interpretations of the various aspects of your life, to see if they are unhelpful for you, and particularly to see which ones are fuelling your alcohol consumption. Once we’ve established a few priority issues to focus on (like work stress, or relationship problems, worry, or depression perhaps) you can practice some pragmatic changes to see which ones are most effective for you, and which ones help you reduce your alcohol intake. Part of what makes CBT so effective is that it’s individually tailored to you and your specific problems, it’s not just a set of instructions to follow. Alcoholism is a difficult problem to solve though, so the best intentions don’t always work out as you expected. Dealing with mistakes and learning from them is key to this, without criticising yourself. As such, predicting your most likely triggers for drinking is vital, so plans can be developed for how to handle such situations differently. Another key difference with CBT for alcoholism is that abstinence is not the only option (unlike AA for instance) – most people find they can successfully cut down how much they’re drinking, once they start handling some other aspects of their lives a bit better. Equally, CBT allows you to learn new approaches to problems, without solutions being ‘implanted’ in you, as in hypnosis. If you’re curious about how CBT can help you, make an initial enquiry with our contact form in the top menu. Unfortunately, drinking too much alcohol can make people feel ashamed, especially if you believe that drinking excessively suggests there is something defective about you. Or you believe it is something that needs to be hidden from other people, as you fear their judgement. This is the nature of shame, it is a particularly negative feeling, and is often a factor in depression. It is usually tinged with regret of course, at having done things while drunk that we would never do sober – perhaps hurting other people or behaving inappropriately. How can we reduce the effects of shame then, or minimise it’s impact? How can you feel less ashamed of drinking alcohol? The first thing to consider is compassion. These are the feelings of nurturing, caring and forgiveness that we normally feel towards a child or a loved one, but we also need to apply to ourselves. Most of us are our own harshest critic, and when feeling ashamed about drinking that tendency can go into overdrive. So forgiving yourself is an important aspect of reducing shame. Some will have concerns here, that if they forgive themselves then they’ll lose control of their drinking entirely. But this is not to suggest that the behaviour itself is forgiven, just the person is forgiven; “I did something I regret, but that does not make me a bad person”, for instance – taking responsibility for your actions, rather than berating or blaming yourself. Many people find the idea of self-compassion awkward, it’s not something we’re accustomed to, but most therapeutic approaches recognise the importance of it for mental health. Some might say that the easiest way to avoid feeling ashamed is to stop drinking so much. But that is overly simplistic, because many people find they cannot do that easily, they may have tried many times, but without success. A vicious circle can develop, whereby someone feels ashamed of their drinking, becomes self-critical and starts to feel depressed as a result. This can then be a trigger for further drinking, as alcohol often lifts your mood. But again, the important thing to distinguish is that drinking too much is a regrettable habit, not a sign of a personality defect. Worry is a normal human activity – we all do it from time to time. But for some people, it dominates their life. So how can you stop worrying? The initial answer is that it’s unlikely you’ll be able to stop completely, but you might be able to reduce it. Before we proceed, lets define what worry is. Worry is a mental activity where we speculate about potential negative outcomes in our future; those outcomes feel threatening, which produces anxiety. This speculation often arises from uncertain or unpredictable situations in the present day, anything we might feel is out of our control. That lack of control or predictability is very uncomfortable for some people, so they attempt to reduce the uncertainty (and increase control) by speculating about what might happen. If you speculate about what positive things might happen, then you’re lucky, because most people are drawn to speculate about the negative possibilities, the threatening or unpleasant outcomes which they would rather avoid. If your thoughts often begin with “What if…(something negative) happens?” then you’re probably a worrier. The common themes for worrying are almost universal – family, relationships, work, health, finances or being negatively evaluated by others, for instance. Some forms of worry are about planning strategies to avoid these potential negative outcomes, or how to deal with them if they’re unavoidable. But quite often people are so anxious about the imagined outcome that they don’t even get to the planning stage, they just turn away from the unpleasantness, and try to avoid thinking about it. This is where alcohol comes into the picture for a lot of people – it is very effective at silencing worries (in the short term at least). Now we’ve got a working definition of what it is, so how do you stop worrying? People who worry excessively tend to make threatening interpretations of ambiguous circumstances – and unfortunately life is full of ambiguity, uncertainty and unpredictability. Additionally, worriers often lack confidence in their decision-making or problem-solving abilities, which can lead to doubt about their own ability to cope. As such, an objective evaluation of your coping ability might be helpful – if you think back to a few crises you’ve experienced in your life, ask yourself how you managed to cope with them, did you work out a solution to the crisis, did you get through it eventually? You might be able to recall a few situations where you didn’t handle things so well, but it’s probable that overall, you’ve managed to deal with everything in your life thus far. This suggests you’ll be able to handle everything else that might happen too, doesn’t it? That’s not to say that you can avoid all unpleasant situations in your life, but that you’ll be able to deal with them when they occur, you will cope. This could mean that speculating about hypothetical outcomes is unnecessary. How could you learn to tolerate uncertainty better? How could you reduce the need to control your life so rigidly? Is it possible to accept that the future is unknowable, unpredictable, and be ok with that? In fact, is uncertainty unavoidable in life? Ask yourself if there are certain scenarios you never worry about. For instance, some people worry about paying for their children’s education, yet they don’t worry about war breaking out. Why is that? Why don’t you worry about nuclear war? The answer to that question might provide useful insights about the issues you do worry about. We need to look at what processes maintain your worry, what beliefs you hold which give your worries strength. What purpose do you think your worrying serves? Why do you do it? What might potentially go wrong if you didn’t worry? Does worrying help you in any way at all? Does being a worrier say something good about who you are even? These are important questions to consider, because these beliefs may be unhelpful for you, and may need some adjustment if you want to stop worrying. If you’re someone who avoids thinking about solutions for imagined negative outcomes, then those outcomes remain threatening, and continue to pop into your mind to make you anxious. A way to deal with this is to actively imagine the unpleasant scenarios occurring, and then consider how you would react, how you would deal with the situation, what support you would call on, and what options you might have available. It’s not a pleasant exercise to engage in, for sure, but the idea is to expose yourself to the imagined threat, and then imagine yourself solving the problem, coping with the situation somehow. Again, you probably won’t be able to stop worrying completely, but it might be possible to reduce the amount you worry to a more tolerable level. Treating depression takes a long time, as it requires various long-standing patterns to be changed. Imagine something goes wrong during your day, and you think to yourself “I always make mistakes, I’ll never be successful”, which obviously makes you feel low. Those two words, ‘always’ and ‘never’, are examples of over-generalisation, so those thoughts would be more helpful if they were more specific, like this – “I’m making a few mistakes at the moment, I wonder what needs to change so I can solve this?” – such a re-framing might help you feel a bit better about your situation. You may have picked up certain unhelpful styles of thinking which are holding you back, which you could benefit by altering; or some of your beliefs about yourself may need adjusting to be more adaptive. Moving on to the level of behaviour, depressed people often find the pleasure they feel from their normal activities becomes diminished, and so you end up doing less and less, getting less pleasure and less sense of achievement. Part of the treatment thus involves increasing the number of activities you are doing, building up a range of things which might be rewarding or pleasurable. Depressed people often become accustomed to procrastinating however, you may find ways to delay or avoid activity. So you might need to evaluate some of the things you’re saying to yourself whenever you put-off doing things. Next time we will continue with more issues in the treatment of depression. 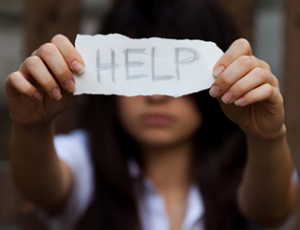 Some people are more predisposed to depression than others, as a result of their life experience – certain events may cause the development of low self-esteem, poor problem-solving skills or hopelessness. “I’m not strong enough to cope if unpredictable things happen”. If a negative event occurs, perhaps a mistake with significant consequences, and you attribute it to an internal, enduring cause (e.g. considering yourself useless), then of course it would tend to make you feel low. If you attribute the same event to an internal but transient cause (“I wasn’t paying attention right then”), then you might feel less depressed about it. Were you to attribute the event to external factors beyond your control (“anyone would make mistakes under this sort of work stress”), then you might barely feel down about it at all. This is a simple example of the many attributions we make for what happens in our lives, all of which are just opinions, subjective views, not facts. Depressed people might counter “yes, but I AM useless”, but again this is only an opinion, not a fact. A loss of some sort (not just of a loved one, but perhaps a loss of some important aspect of life such as status or health for instance). 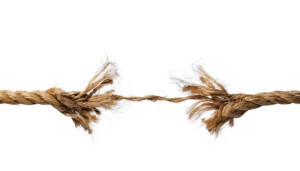 Prolonged stress – the perception that the demands being made of you exceed your available resources; if this is chronic then a state of helplessness (“I’ll never escape”) or hopelessness (“what’s the point”) can develop. Periods of anxiety can also precipitate depression, as the feelings of vulnerability, unpredictability and lack of control can create pessimistic beliefs about the future. Once depression develops, what maintains it? Another aspect of our selves is our moment-to-moment stream of consciousness; the linguistic content of our thoughts. These have an immediate effect on our mood, so depression can be maintained by ‘Negative Automatic Thoughts’ which take the form of unhelpful styles of thinking. Lack of compassion for yourself is often a factor in maintaining low mood – even if we are capable of being compassionate and caring towards others, we believe that we don’t merit the same compassion or forgiveness for ourselves. Thus guilt and self-recrimination can become entrenched. Once low mood sets in, energy levels and motivation drop, and as a result people do less. Their opportunities for having fun, for feeling a sense of achievement, for sharing experiences with friends, all diminish. Thus a feedback loop is established, potentially leading to further drops in mood. And finally of course, alcohol is a well-known depressant, a substance which many people turn to in times of difficulty, thus compounding the problem. In the next article, we’ll look at the treatment of depression based upon the causes we’ve identified here. There are several factors which contribute to social anxiety, and each of them needs to be addressed for the whole problem to be dealt with. Lets look at them in turn – firstly there is your belief that other people are highly likely to reject you or judge you negatively, when in fact this is probably an overestimation on your part. People are more forgiving than you think. So you need to test out how likely this is with some experiments. Start with a situation that’s fairly non-threatening (you’ve probably got some scarier situations you could imagine, but we don’t need to jump in at the deep end). When you’ve thought of a slightly anxiety-provoking social scenario, predict how exactly you think others will judge you, and how will they demonstrate their judgment? What evidence can you gather that they have judged you? Then conduct the experiment (expose yourself to the situation) and compare the results with what you predicted would happen. What can you conclude from this? Most likely it will be that other people aren’t quite as judgmental as you believed them to be, and that in fact it’s almost impossible to tell if they are or not – because you are not a mind-reader. So this brings us to another aspect of social anxiety disorder – that you accept the judgments you imagine other people are making of you, and you predict that this situation will be intolerable, so much so that you want to avoid it at all costs, which is where the fear and anxiety arise. The truth of the matter is that occasionally people are judgmental, but when they are, although it’s unpleasant, it is tolerable and need not be avoided, hence some of the fear and anxiety associated with it can reduce. 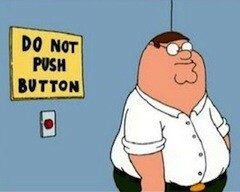 However, you will only fully accept this once you’ve experienced it several times without avoiding the situation. During social interactions, you’ve probably developed several ways in which you try to reduce your anxiety, or make yourself feel safe. These range from the obvious ones (like alcohol), to the more subtle (like rehearsing what you’re going to say beforehand), or more common ones (such as pretending to look at something on your phone). These ‘safety behaviours’ are counter-productive, because they reduce the opportunities for you to learn that social situations aren’t really so threatening. What things make you feel calmer in a social situation? You believe these things ensure your safety, when in fact you’re safe without them. Where you focus your attention is another important factor in reducing social anxiety. You probably pay close attention to the bodily symptoms of your anxiety when you experience it – you become self-conscious, and this acts as a feedback loop because you judge your own anxiety symptoms, making them seem more alarming to you, and so they get worse. All the while, you are not focusing on the social situation, not engaging fully in the conversation, thus it becomes harder to read the cues other people are showing you, which can lead you to make further mistakes (stuttering, not understanding what someone said, forgetting their name etc.) It’s important therefore to remind yourself to focus your attention outwards, not on your body. Essentially you need to learn that social situations are not as threatening as you imagine them to be, social mistakes you might make are not as catastrophic as you believe they are. The goal is not to eradicate anxiety altogether, as that would be abnormal, but to reduce it to tolerable levels. Because actually you can learn to tolerate the discomfort that these situations create for you, and such tolerance can be improved with practice. Anxiety is not a helpful measure of your social performance. You can feel anxious, and other people will still accept you. Imagine for a moment that you encounter someone who is obviously anxious when they are speaking to you – would you reject them and judge them negatively? No, of course not, and neither would most of the people who meet you. Other people are not as critical towards you as you are yourself. Hence what you believe people will think about you is more likely to be a reflection of your own self-critical beliefs. And changing that is the subject of another article. Is Social Anxiety making you drink? Social anxiety is a common problem, characterised by being apprehensive and nervous about potential rejection or humiliation by other people. If you find yourself getting worried about upcoming social events, and imagining how uncomfortable they’re going to be, or how other people will notice your anxiety, then you might well get into the habit of drinking alcohol in order to calm your nerves. You might believe that you will behave in an unacceptable way, which will result in other people making an unfavourable evaluation of you, and this feels very threatening. You might believe that people will think you are weak, crazy, stupid or boring, and as such you might find it very difficult to engage in conversation or eat a meal. Sometimes social anxiety escalates to include a panic attack, which can then fuel further anxiety, as you become worried that another panic will occur next time you socialise. As such you might often find yourself preoccupied with thoughts about your visible symptoms of anxiety (sweating, blushing etc. ), and how other people might be viewing them. You really want to make a good impression, but you’re worried that you’re just not able to. 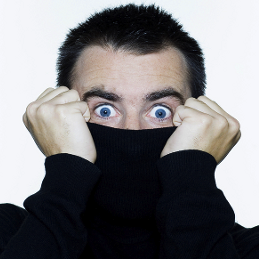 Social phobia like this can simply be described as a fear of being embarrassed. As such, the consumption of alcohol can become an easy solution for people finding themselves in this position – drinking quickly and easily reduces the anxious feelings, boosts confidence and aids conversation. However, many people find that they end up binge drinking, and thus embarrassing themselves in exactly the way they were hoping to avoid. Next week, we’ll look at how this problem can be overcome. Is alcoholism a disease, or is it just a drink problem? Sometimes the terminology used when talking about alcohol problems can be quite unhelpful. 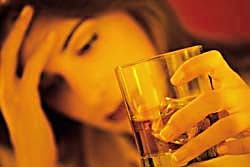 In fact, when using the terms ‘alcoholism’ or ‘alcoholic’ (which everyone does, including this site), the emphasis can be that the problem is with the alcohol itself. But the problem actually stems from the state of mind that the alcohol gives you, not from the chemical as such. The importance that this state of mind takes on for you, the preferability of it despite the huge costs to other parts of your life, that is actually where the problem lies. “an abnormal condition that causes discomfort, dysfunction, distress, social problems, and/or death to the person afflicted, which is associated with specific symptoms and signs”. 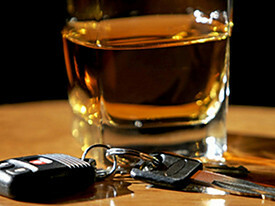 loss of control – the inability to stop drinking at a sensible level once you have started. You may have periods when you experience all four of these symptoms, and therefore you could be classified as an alcoholic. There may be other times when you’re not experiencing all of them, so you merely have ‘problems with alcohol’. But do you have a disease? A disease is something over which you would have very little choice – “I don’t want this disease any more, I’m going to make some changes” would seem slightly ridiculous. So the way you view your alcohol problems, what terminology you use – will determine what you feel you can do about them. If you view it as a set of problems, you will be motivated to solve those problems, but if you say to yourself “I’m an alcoholic, its a disease, it can’t be cured” then what are you likely to do about it? Not that much, I would suggest. Some people seem to have more control over their alcohol problems than others, so perhaps it is not a black or white condition, but one with varying shades of grey in between. 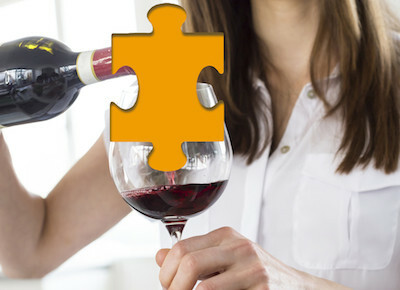 There are many different factors involved in an alcohol dependency, from genetic predispositions, or inherited behaviour from parents, perhaps learnt behaviour from society, to our beliefs about ourselves, our coping strategies, our self worth, our levels of anxiety and the stability or instability of our moods. Different people will have different causes for their alcohol problems. 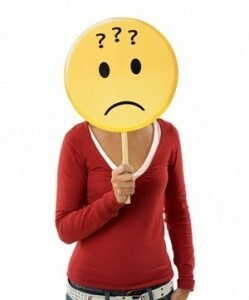 The way to solve them is therefore to make yourself more aware of what factors are involved in your personal problem. Then you can go about making some changes to those underlying issues.